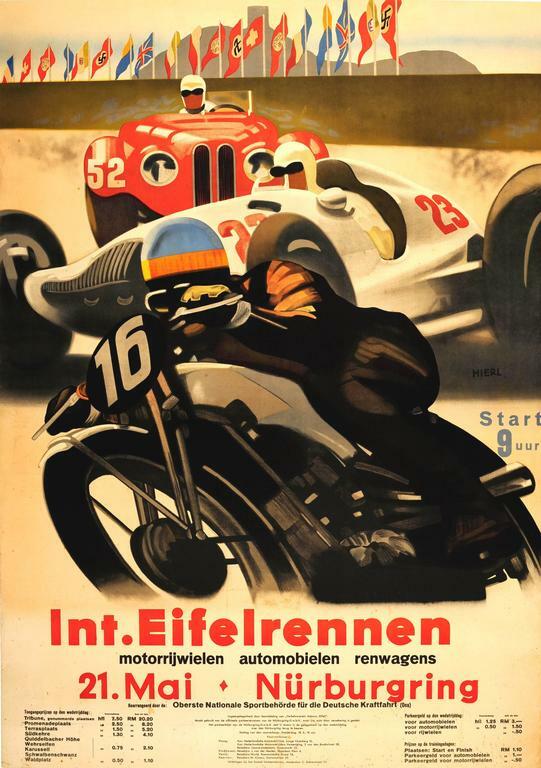 Original vintage car and motorcycle racing event poster featuring dynamic artwork of a BMW 327, Mercedes Silver Arrow and DKW Audi motorbike zooming around the Nurburging track in front of the viewer with flags flying in the background and the text below. 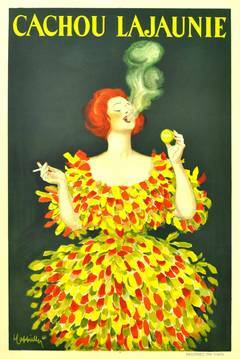 Design by the German poster artist Alfred Hierl (1910-1950). Good condition, restored folds, minor tears and loss on top left corner, light staining on bottom, backed on linen. 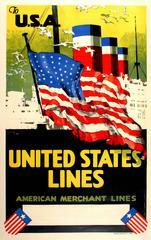 Good condition, restored folds, minor tears and loss on top left corner, light staining on bottom, backed on linen.